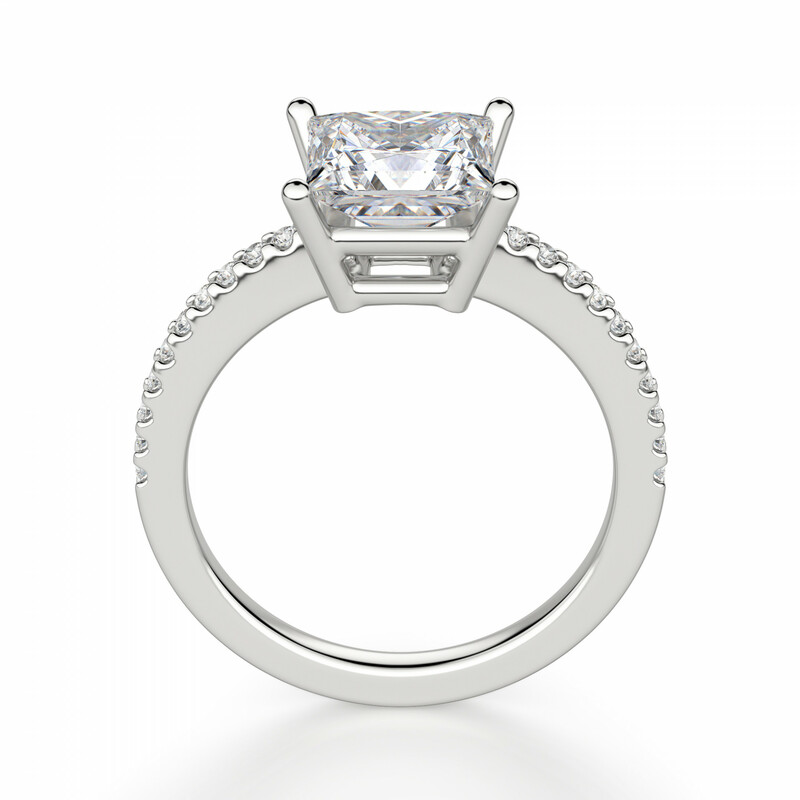 The beauty of this accented design is in its simplicity. 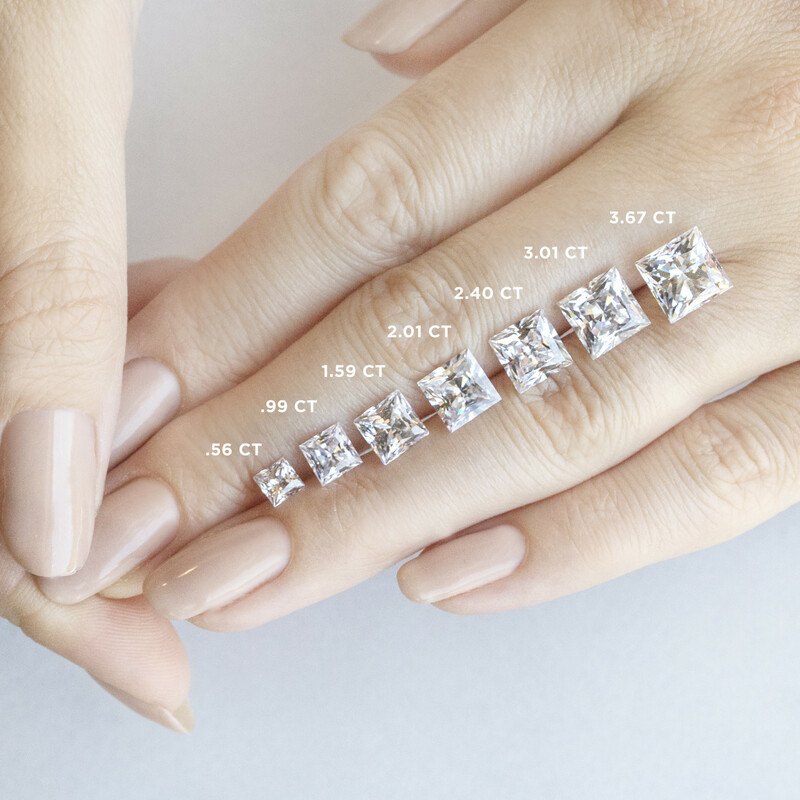 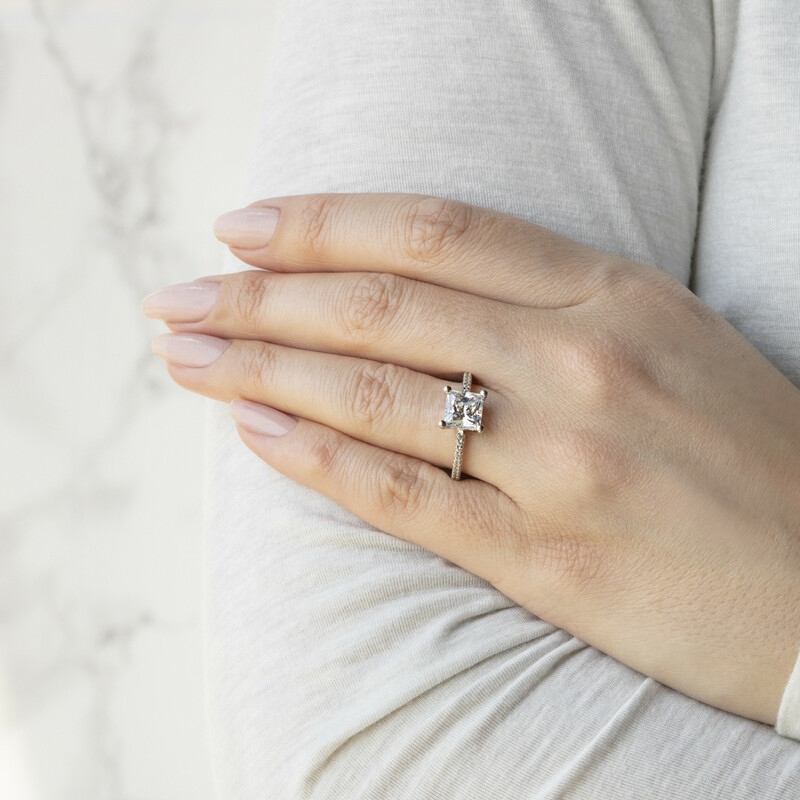 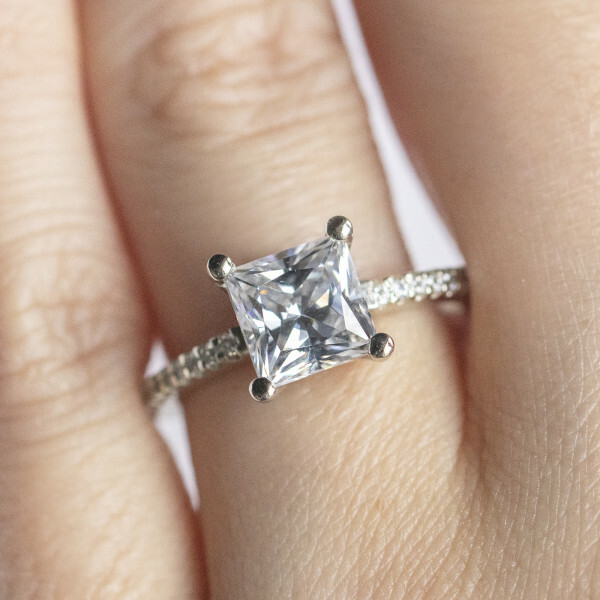 A low-profile basket setting is secure and comfortable, letting the eye-catching Princess cut Nexus Diamond alternative shine. 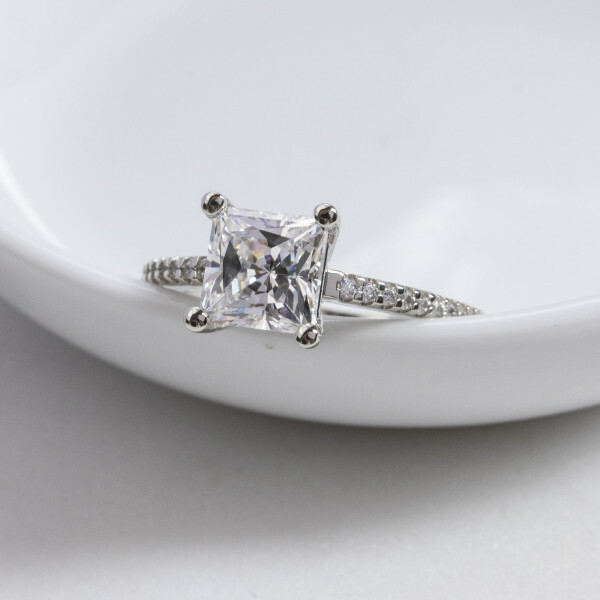 Shared prong accent stones add shimmer, and subtle cathedral shoulders meld seamlessly into the basket setting. 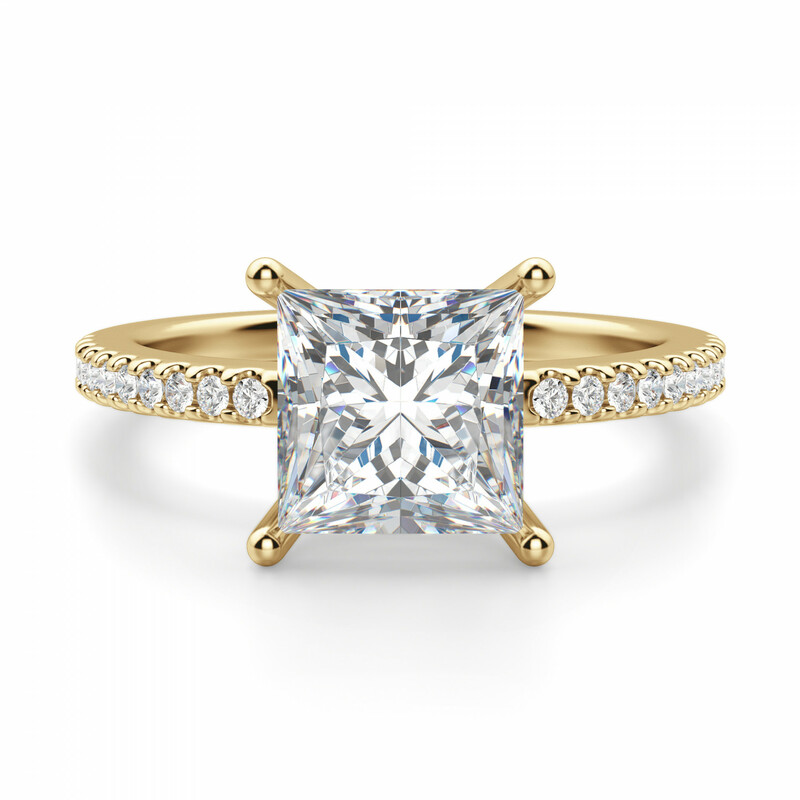 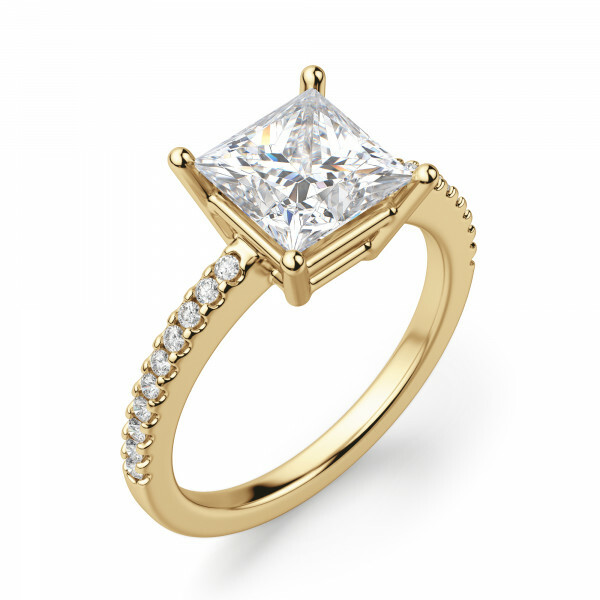 With its sturdy design and traditional elegance, this timeless ring will be beautiful for a lifetime.